I write because I figure I’m weird enough to be entertaining. I write because it’s a way to try on other lives. I write because it holds my mind out for scrutiny where I can prod it ’til the folds come loose and let out their secrets. I write because G-d told me to. I write to spite G-d. I write because it makes me try new and occasionally crazy things. I write because I never grew up, never stopped inventing universes. I write because Shel Silverstein and Dr. Seuss were my first heroes. I write because the first time I got too depressed to live, I lived anyway because there were poems I had to write. I write because every good book takes me to a new world or echoes the worlds in myself—or both. I write because sometimes the worlds in books are more real than the one out here. I write because we can’t create a better world until we can see it. I write because it’s a gift I can’t return. BIO: Sari Krosinsky writes about the mundane in mythology and the sublime (and sublimely awful) in the ordinary. Her first full-length book, “god-chaser,” is forthcoming from CW Books. She co-authored a chapbook, “Yossele: a tale in poems,” with Robert Arthur Reeves. 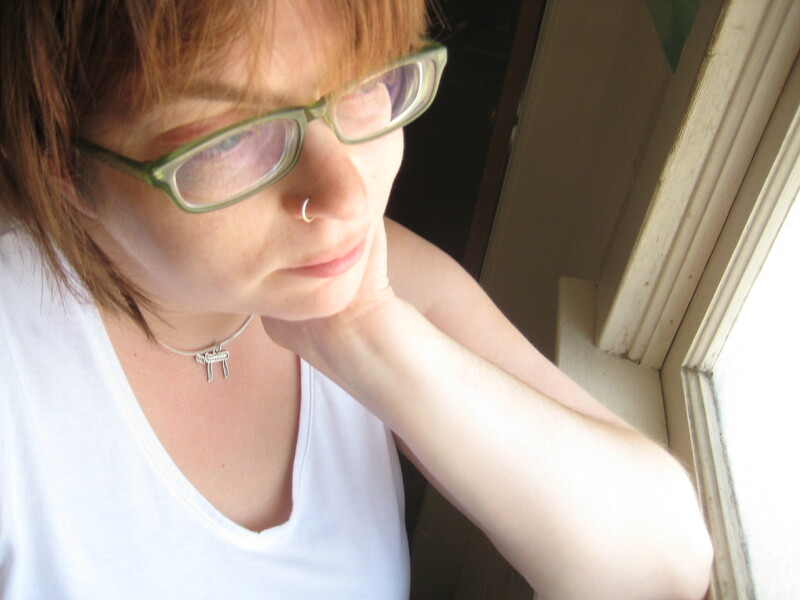 She publishes Fickle Muses, an online journal of mythic poetry and fiction. Her poems appear regularly in literary and genre magazines. She received a B.A. in religious studies and M.A. in creative writing from the University of New Mexico. She lives in Albuquerque, N.M., with her partner and cat. I write because “This is the way the world ends / Not with a bang, but a whimper” blew my mind when I was 14. I write because Naked Lunch did the same thing to me when I was 16. Sari, love the last line– it is indeed a gift you cannot return! and Brian: thanks for stopping by! continue with that and submit!! Great answers, Sari. Creator of worlds, worlds within.